Today, Nintendo's Eiji Aonuma announced that the upcoming Legend of Zelda game for the Wii U is not going to be coming out this year. That's a bummer, but not an unprecedented one: Lots of console Zelda games have been delayed. Skyward Sword is an odd one, because that game is widely held to have been delayed, but the reality appears a bit murkier. 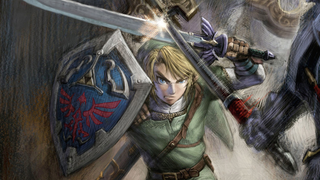 Nintendo showed concept art for the game in 2009, lots of people assumed it was coming in 2010, and when Nintendo finally announced a 2011 release date at E3 2010, it was treated as a delay. It did come out on time, however. Though I guess there's a chance Majora's Mask was actually delayed by three days, then Nintendo rewound time and released it on schedule. The world will never know.